Stimulate growth through the experiences of your peers. The value of belonging to the AFS community is accessing the knowledge of those with similar experiences. Just like your business, development, and growth never stop. 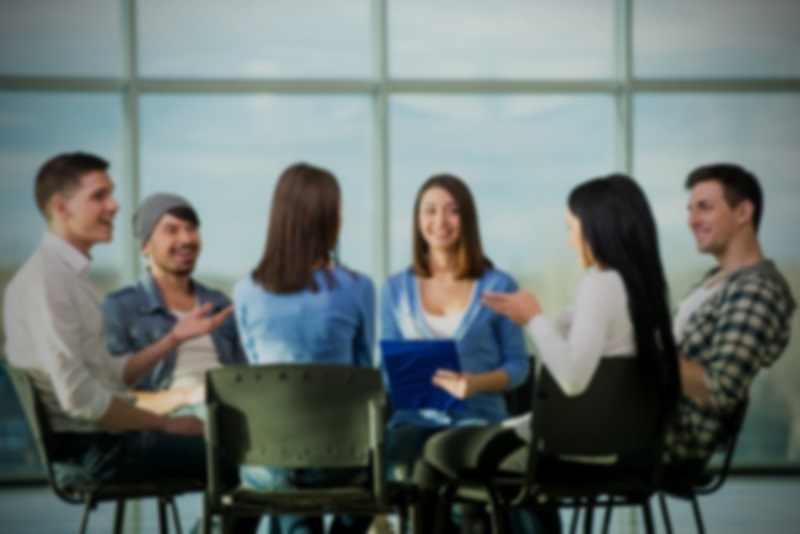 Roundtables are small, structured, interactive groups, held monthly, that provide extensive feedback and discussion on the issues of vital interest to your business. The overriding goal of AFS Member Roundtables is participation and information exchange. Roundtables are for AFS members only and normally last 45 minutes. The typical structure of each roundtable is comprised of 10 minutes of presentation by an AFS member, chosen ahead of time, followed by 30 minutes of discussion and feedback, and 5 minutes of closure by the moderator. There are times when a roundtable discussion, instead of having one sole presenter, allows for an open forum based on questions on a particular topic. If this is the chosen methodology, the moderator will get the group's collective buy-in to determine the topic the group is to address. Members must apply by completing the online application, accessible by clicking the button below. Q: I just heard about roundtables discussions. Can I start next week? A: We take online applications all year long, and we place participants as quickly as we can based on available space. In the event a roundtable group is filled, AFS will open up another discussion group and those who’ve applied will be placed on a waitlist until the minimum (3-4) number of participants have joined. Q: I know someone in this program and they really rave about it. Can I just join his/her table? A: We work towards the best placement possible for the roundtables. There are many factors that go into the placement of individuals into a roundtable, including selecting non-competing cities and recognizing potential conflicts of interest. Q: Do I have to apply? How do I apply? A: Yes, an application is required. This program does not allow ‘walk-ins.’ An online application must be filled out and submitted for processing and potential placement. Q: Once accepted and placed, when do I meet with my roundtable? A: Each roundtable sets their own meeting schedule for the same time and day of the month. Participants should reserve that time on his/her calendar. Q: I am not sure I can make my roundtable each month. Can I just attend when I can? A: It is imperative for members to make the commitment to be at their roundtable every month for maximum benefit of all. However, if needed, table members are allowed to miss no more than two meetings a year and not in a row. Q: So, how does this work? Do a bunch of us just show up and talk about whatever? A: Each person on the roundtable eventually hosts a meeting. An agenda with the topic – chosen by the host - will be provided prior to the meeting. The roundtable will be facilitated by an AFS representative who will guide the organized discussion. The roundtable facilitator is your ‘go-to’ contact for your individual roundtable. Q: This sounds like an awesome opportunity to pitch my products/services to business decision makers! A: ABSOLUTELY NO SELLING will be tolerated. While some participants may ultimately form bonds that lead to future business relationships or collaborations, roundtable members are strictly prohibited from pitching or selling of any kind. However, recommendations based off your own experiences will be allowed. Q: What if I don’t feel the roundtable is a good fit once I attend? A: Meeting and getting to know the members of your table will take a little while and more than one meeting, so we hope you will try a few before deciding to change tables. We have found that new participants quickly acclimate to the group. However, on the occasion that a good connection is just not possible, you may contact an AFS representative to share your concerns and request a new table placement, based on availability.